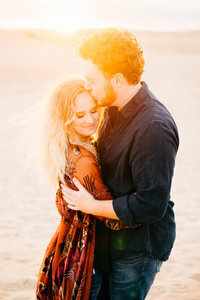 From the moment I met Erica and Amon, I knew their wedding would be unlike any I had ever seen. 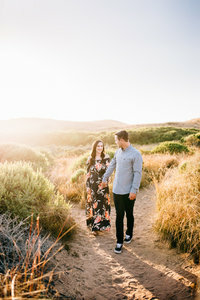 From their private first look on a dock overlooking Tomales Bay, to their enormous friend party, to the music-led parade to the ceremony, each aspect of this wedding was planned with great detail. 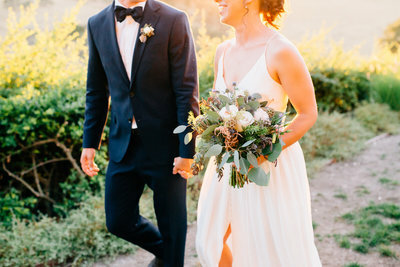 Set in a majestic eucalyptus grove, the vow exchange was heartfelt and full of tenderness. The reception at Straus Home Ranch was a time of laughing and crying and the most delicious, crusty bread I’ve ever had. This whole day stands out as a wedding infused with personality and fueled by love.